Looking for something with the same great style, but a little more economically-friendly? 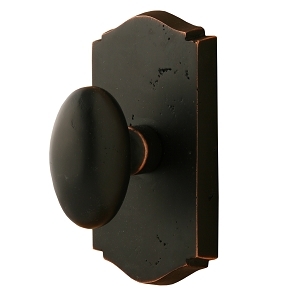 Sure-Loc offers the Arapaho knob, a hollow formed-brass alternative to the Slickrock. 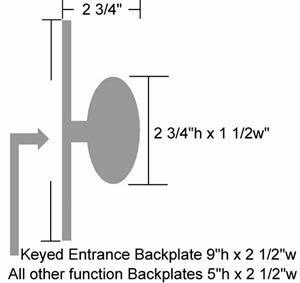 - 5 1/2 " Center-to-Center spacing on entrance knob function. excellent operation and very heavy duty! I adore these doorknobs. They were a great choice for our new home. Real nice rustic look. Very solid feel with nice hand feel. Easy to install. Excellent line of hardware. Have used in my home and it looks and feels expensive yet at a reasonable price. The best out there. Highly recommend to the most discerning of customers. The Sure-Loc Slickrock door knob is a perfect detail added to the 160 year old federal brick house I'm restoring. 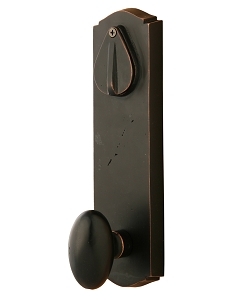 The knob and mechanism are extra heavy duty and have a formidable heft. The finish looks great.